In a time of war and doubt, Gull is an oracle. Daughter of a slave taken from fallen Troy, chosen at the age of seven to be the voice of the Lady of the Dead, she is destined to council kings. In the last shadowed days of the Age of Bronze, one woman dreams of the world beginning anew. This is her story. I didn’t really know what I was getting into when I picked up this book. ‘A story set in Ancient Greece’ was all I thought, but slowly I started realizing it was more than that. The fall of Troy, black ships, Prince Neas aka Aeneas… this was a retelling of the Illiad! I was already invested in the story, but somehow knowing what this story was based on, made it all the more fascinating (plus the puzzle geek in me revels in the fact that I figured it out myself). Graham manages to weave a tale out of the different sources we have about that Greek period; it’s partly based on the Illiad, but also on archaeological discoveries of what we know about Troy and its fall. For instance, Troy is never mentioned in this book; it’s Wilusa as what the people of that time would have called it. Another cool change I found was that in the Illiad Aeneas and his fleet travel to Carthage… but Carthage wasn’t founded until 400 years later. Graham solves this by having them visit Egypt instead, yet still maintaining the story line of what happens in Carthage. 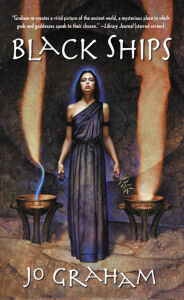 The main character (and narrator) is Gull, who as a child is chosen to serve the Lady of the Dead and soon becomes Pythia, the oracle of the Lady of the Dead, receiving visions about the future. Her story is what makes this so compelling to read; instead of a dry boring narrative of the Trojan war and Aeneas’ escape (what the Illiad basically is), we get to see everything through the eyes of this girl Gull and everything comes to life. One thing I also liked was that while it was set in a more ‘real life’ Greece than the Illiad, there were still hints of divine guidance. Gull has visions of the future, and hears the Lady of the Dead council her. But everything is through her. We get to see how she believes she has visions, but it’s all in her mind. I kind of liked this ambiguity in our main character; is it real or is she just crazy? Black Ships was a surprisingly good read; if you like ancient Greece and it’s mythology, or fantasy without too much magic and elves, this book is for you. There already is a followup book coming out called Hand of Isis, but like Black Ships it’s a standalone book. 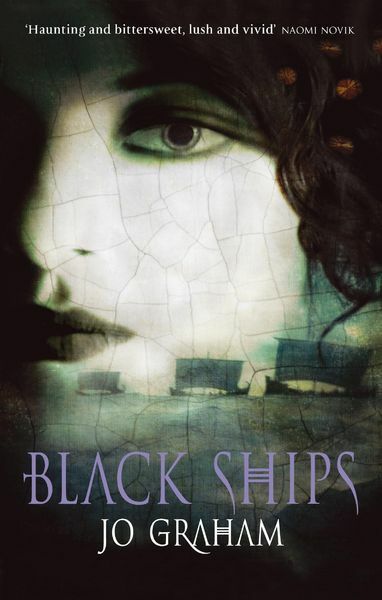 Black Ships by Jo Graham is available on Amazon.co.uk for £5.99 and on Amazon.com for $7.99.